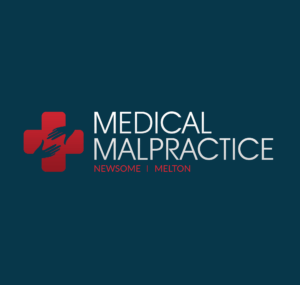 Although many people undergo surgeries and treatment to get help for a medical condition, medical staff negligence may result in the patient developing an infection. Surgeons, physicians, nurses and other medical caregivers can make mistakes that lead to life-threatening conditions for patients. Many mistakes that result in a patient developing an infection can be prevented, and if medical staff fails to ensure quality care for their patients, they could be held responsible for the patient’s infection. HAIs are infections that people acquire while they are receiving treatment for another condition in a healthcare setting. Infections are generally caused by a variety of common and unusual bacteria, fungi, and viruses that can be transferred to a patient in a variety of settings. Facilities such as outpatient surgery centers, long-term care facilities, rehabilitation centers, and community clinics could potentially put the patient in danger of developing a HAI if proper care isn’t provided. HAIs are one of the top 10 leading causes of death in the United States and they are the most common complication of hospital care. According to the Center for Disease Control and Prevention, approximately one out of every 20 hospitalized patients will contract an HAI. Exposing patients to Clostridium difficile, a bacterium that may be on contaminated surfaces or in the spores of unclean hands. This is the most common type of HAI and is associated with a catheter or tube that is used to empty urine from the bladder. The device could pick up bacteria and then enter the bladder, causing infection. This accounts for almost 25 percent of all healthcare associated infections and is the second most common type of HAIs. Patients who have a wound from surgery or from device insertion are at an increased risk for bacteria to enter their bodies. This is the third most common type of HAI and results from ventilators that are inserted in the patient. Bacteria and germs may get into the lungs through the endotracheal tube that is attached to the ventilator, causing infection that can lead to pneumonia. This is the least common HAI but results in more deaths than any other. Catheters that are placed in a vein to deliver medicines, blood, or nutrients to the bloodstream may help bacteria enter the body where the catheter was inserted. The infection can affect the skin only, or it may be more serious and enter the blood through the veins that go near the heart. The risk of infection increases as the catheter is placed longer or deeper in the patient. SSIs can occur if healthcare providers fail to clean their hands and arms up to their elbows with an antiseptic agent prior to surgery. Furthermore, providers should clean hands with soap and water before and after caring for each patient. Proper attire should be worn in the surgery area, such as hair covers, masks, gowns and gloves during the procedure to ensure safe care for the patient. “Healthcare-Associated Infections.” Agency for Healthcare Research and Quality. N.p., Sept. 2012. Web. 18 Dec. 2012. “Healthcare-associated Infections (HAI).” Centers for Disease Control and Prevention. N.p., 05 Oct. 2012. Web. 19 Dec. 2012. “Healthcare-associated Infections (HAI).” U.S. Department of Health & Human Services. N.p., n.d. Web. 18 Dec. 2012. “Types of Healthcare Associated Infections.” Connecticut Department of Public Health. N.p., 06 Nov. 2009. Web. 18 Dec. 2012. Studies have shown that about 80 percent of C. Diff cases are the result of an exposure at a hospital or doctor’s office. If strict sterilization and cleaning methods are not followed, patients can contract Hepatitis C in a hospital or clinical environment. Many mistakes that result in a patient developing an infection can be prevented, and if medical staff fails to ensure quality care for their patients, they could be held responsible for the patient’s infection. Surgeons take extreme precautions to prevent contamination of body tissues during an operation, but in some cases the patient may be exposed to bacteria, fungus, mold or other agents that can lead to severe complications.